← Request for updating Membership for year 2012-13. Posted on Wed, Mar 14th, 2012, in service matter, What's new and tagged transfer guidelines. Bookmark the permalink. 8 Comments. Already there is lot of confusion and errors crop in during regular tenure transfers. 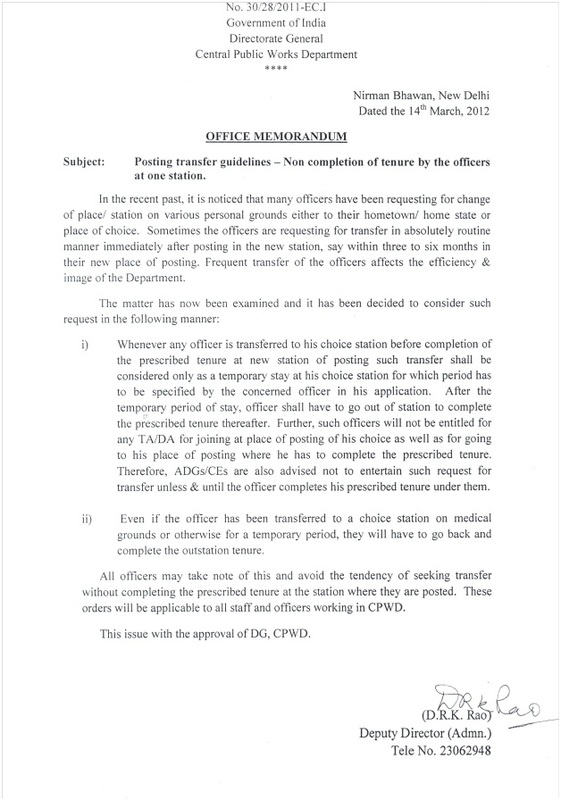 Now with this new category of temporary stay at choice station and completion of tenure in other station will lead to chaos!